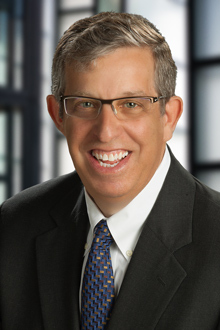 Howard Gitten is a partner in the Fort Lauderdale office of Lewis Brisbois and a member of the Intellectual Property & Technology and Data Privacy & Cybersecurity Practices. Combining experience as General Counsel and Chief Technology Counsel at a cutting edge technology company with his years of intellectual IP private practice experience, Mr. Gitten brings a unique perspective to legal technology issues. He brings a business perspective to technology issues and his technology background to business issues. As a registered patent attorney, he not only knows how best to protect a client's unique assets, but how best to make them marketable and best use intellectual property for competitive advantage. Howard advises clients in instituting cradle to grave IP regimes, licensing, and even joint development programs around their IP. Howard's clients have ranged from basement tinkerers to international Fortune 100 companies. He counsels across a range of technologies including e-commerce platforms, medical devices, autonomous vehicles, RFID technologies, fiber optics, and MEMs devices. In addition to protecting proprietary brands and concepts, Howard advises clients with respect to the minefield presented by the IP rights of others. He also advises clients in dealing with charges of infringement, including those brought by patent trolls, and copyright and trademark matters. Howard is certified by the Florida Bar as a specialist in Intellectual Property Law. He has also lectured at universities across the state on a variety of IP topics. Performed IP due diligence in $500 million sale of a SaaS-based construction program management solution company, February, 2018. Performed IP due diligence in $1.2 Billion sale of a crude oil transportation company to an affiliate of Global Infrastructure Partners, October 2017. Performed IP due diligence in sale of a medical alart system company to a private equity company; terms not disclosed. Presenter, Protect the Entity Value: The Importance of Intellectual Property, University of Central Florida, Excellence In Entrepreneurship program, January 29, 2019. Enhancing the Entity Value-Entrepreneur Lessons Learned From The Front Lines, Wharton Alumni Club/MIT Enterprise Enterprise Forum of South Florida, March 2018. Panelist, Balanced Enforcement Strategies For Operating Companies, The IP Strategy Summit, Atlanta, March 2017. Great App, Now What?, Excellence in Entrepreneurship Program, University of Central Florida incubator system, 2016.